Automatic Backup Manger v1.0.8 is a tool to backup your folder automatically according to your requirement.This tool can backup data to external hard drive,USB ,network or any other storage device.You can schedule multiple folder backup at the same time.There are many option to backup the folder like user can set Weekly Backup,Monthly Backup or Daily backup at some particuler time,User can also set the hourley backup for the folder. Automatic Backup Manger is a tool to take backup. 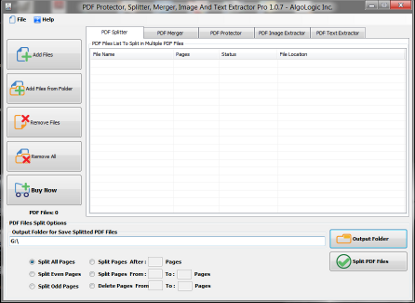 * Supoort ability to filter only specific file types in backup process. * User can set Weekly Backup,Monthly Backup or Daily backup at some particuler time. * Easy and simple software interface. * User can schedule multiple folder backup at the same time. Backup and Synchronize your improtant files automatically with USB drives. Qweas is providing links to Automatic Backup Manager 1.0.8 as a courtesy, and makes no representations regarding Automatic Backup Manager or any other applications or any information related thereto. Any questions, complaints or claims regarding this application Automatic Backup Manager 1.0.8 must be directed to the appropriate software vendor. You may click the publisher link of Automatic Backup Manager on the top of this page to get more details about the vendor.